The extension housing on the 42RE-48RE have a habit of wearing the case where the snap ring is. This allows the bearing to move back and forth messing up your end-play. We have a precision cut steel washer in two different sizes that goes in the back of the case to position the bearing back in it's original location. Choose which size you need above on the right. We have recently improved and upgraded the original 120361 washer, and it is no longer available. The new part number is 120363 shown above. It is the same thickness as the old 120361, .0560". 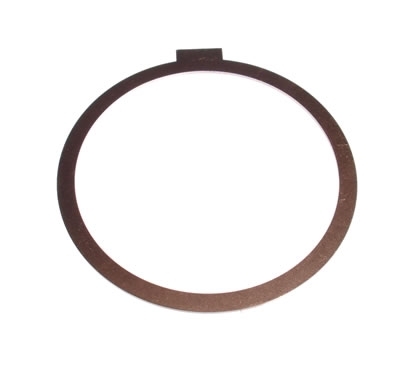 We have a thinner shim for housings that don't have as much wear. Part number 120364. Click here to order.